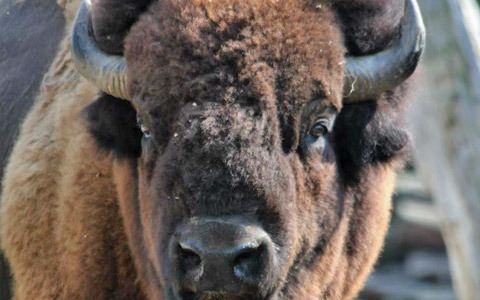 The Western Reserve Greenway Bike Trail entrance is adjacent to our park and is a paved rail-trail extending 44 miles through Ashtabula and Trumbull Counties. 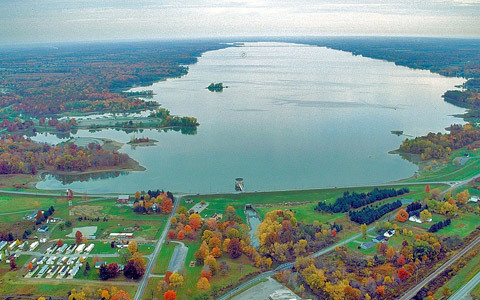 Nearby Mosquito Lake State Park features a 7 mile recreational lake with marina, bait shop, beach facilities, boat rentals and Joe’s Fast Food Island. We are located 10 minutes to the Amish settlements of Geauga/Northern Trumbull county where you’ll find plenty of shopping, fresh produce, farm markets and restaurants to visit. Only 15 minutes to Eastwood Mall Complex located in Niles, voted one of the best and largest retail/restaurant complexes in the country. 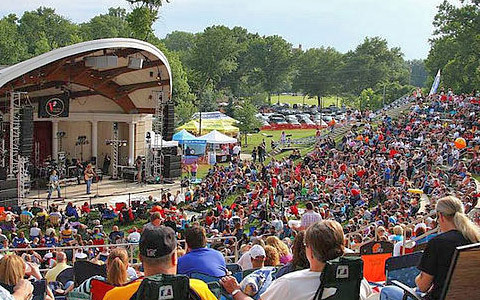 Warren Community Amphitheater located in downtown Warren features River Rock at the Amp tribute bands on weekends during summer season. 30 minutes north you’ll find the start of Ohio’s Wine Trail. Enjoy the many local wineries and Ohio grown grapes in our own unique microclimate along Lake Erie and many other attractions. A full service grocery store, Kent State University Trumbull campus and many restaurants are located in Champion just minutes from our campground. Wal-Mart Super Center and Menard’s are within 15 minutes in Cortland, Ohio. The Ernie Hall Aviation Museum bears the name of one of America’s most well-regarded aeronautical pioneers and he is regarded as a hero due to his impact on the evolution of aviation in the United States. 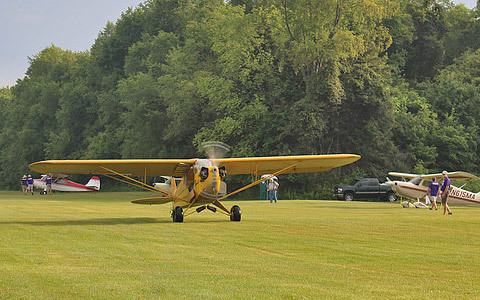 The museum was established to not only recognize a legend in the Ohio community where he resided, but to leverage his legacy and acknowledge the contributions of other aviators in U.S. history as well. The Packard Music Hall hosts a wide variety of events each year including Broadway touring productions, concerts, ballets, children’s programs, theatre, corporate meetings, high school graduations, dance recitals, pro-wrestling events, gala balls and many other programs. 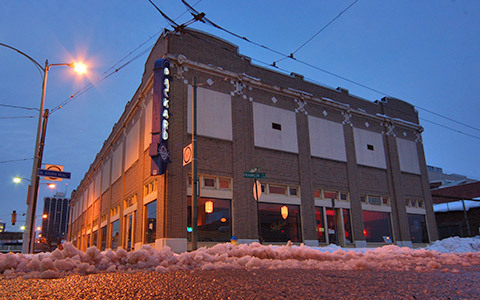 The Packard Musical Hall also hosts free monthly Packard Band Concerts. 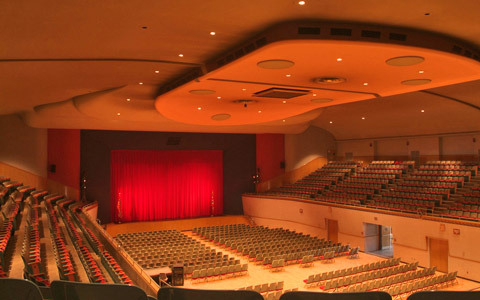 Packard Music Hall has a seating capacity of nearly 2,500 and averages over 100,000 guests each year. River Rock at the Amp classic rock concerts take the stage rain or shine at the Warren Community Amphitheatre. The Amp is located in picturesque downtown Warren, Ohio, along Millionaires’ Row and adjacent to historic Courthouse Park overlooking the Mahoning River. In addition to Amphitheatre seating, there is plenty of room for lawn chairs and blankets. A wide variety of food and refreshments, including a beer tent, is located on site. 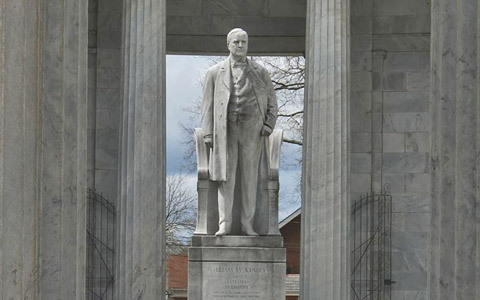 The National McKinley Birthplace Memorial Museum is dedicated to honoring the memory of our nation’s 25th President, William McKinley, who was born in Niles, Ohio, on January 29, 1843. The museum memorializes President McKinley by maintaining, preserving, exhibiting, and interpreting its collections to educate the community and promote an understanding of President McKinley’s life, career, and untimely death, along with the history of the McKinley Birthplace Memorial Building itself. The Canton Classic Car Museum was established by the late Marshall Belden, Sr in 1978. 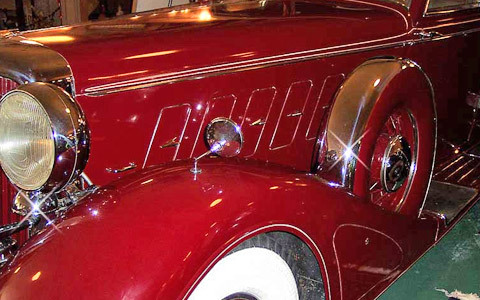 The museum currently exhibits forty rare and unusual classic and special interest automobiles. The gorgeous vehicles are complemented by the thousands of pieces of historical memorabilia displayed throughout the museum. The largest family owned 3-rail layout in Ohio, featuring over a thousand buildings, over 2,800 feet of track, hundreds of freight cars, and over a thousand lights, automobiles, and trees. 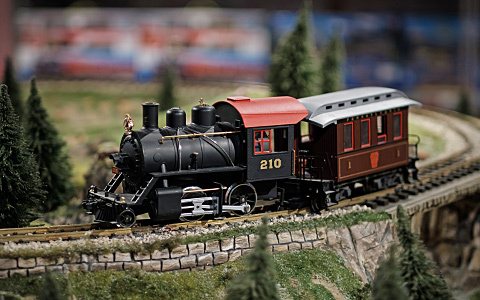 They also sell used trains from Lionel, MTH, Williams, American Flyer, K-Line, and Weaver.